Another month has passed, so it’s time for my my monthly outfit recap again! In this post, I’m showing you all my outfits of February again and I’m asking you, through a poll, which of these outfits is your favorite! Also, I will show you the ‘Outfit of the Month’ winner of January!March is going to be a busy, but really fun month for me! Some of it is personal, but most of it is for the blog! You will find out about all of it, as soon as possible! But for now, I would love to find out which is your favorite outfit of February! Which is your favorite outfit of February? And the winner of January is…. Scalloped Polka Dots with 29% of the votes! Dit was een moeilijke! Ik vind 2,3,4&5 zo mooi, maar heb toch gekozen voor 2! Wat een leuke outfits! Erg moeilijk kiezen, maar als het moet is nummer 3 mijn favoriet! 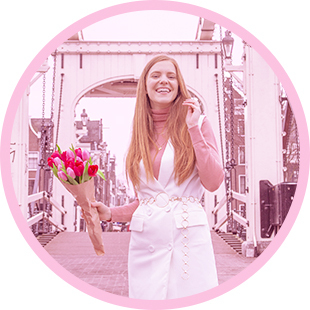 Leuke outfits hoor, 6 is mijn favoriet maar 2 vind ik ook erg mooi! Nummer 3 is echt perfect! Moeilijke keuze, maar ik ga toch voor 3!